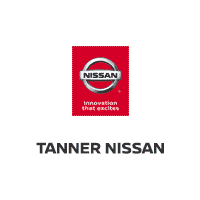 For drivers on a budget near Aitkin who still want an extensive selection of quality used cars to choose from, Tanner Nissan is a top choice. We have a full lineup of used sedans, used trucks, and used SUVs for sale in Brainerd, including cheap used cars that are still in good shape, as well as a number of Certified Pre-Owned Nissan models. Check out all your options online below, and then apply for financing online to get pre-approved for a loan before coming in for a test drive! JUST REPRICED FROM $18,973, FUEL EFFICIENT 40 MPG Hwy/31 MPG City!, $700 below Kelley Blue Book! Superb Condition, LOW MILES - 5,765! READ MORE!======KEY FEATURES INCLUDE: Back-Up Camera, iPod/MP3 Input, Bluetooth MP3 Player, Keyless Entry, Child Safety Locks, Steering Wheel Controls, Electronic Stability Control. Honda LX with Lunar Silver Metallic exterior and Black interior features a 4 Cylinder Engine with 158 HP at 6500 RPM*. Non-Smoker vehicle. ======EXPERTS ARE SAYING: Edmunds.com explains An excellent all-arounder, the newest Civic drives well no matter which version you pick. Out on the highway, the Civic offers a composed ride quality that doesn't get overly floaty or harsh. No matter how you look at it, the 2017 Honda Civic is one of the best cars in its class.. Great Gas Mileage: 40 MPG Hwy. ======AFFORDABLE TO OWN: Reduced from $18,973. This Civic is priced $700 below Kelley Blue Book. ======WHO WE ARE: At Tanner Companies we offer a broad selection of new and used Chrysler, RAM, Jeep, Dodge, and Nissan Cars, Trucks, and SUVs to Brainerd, Baxter and the surrounding St Cloud, Alexandria, and Little Falls areas. We take pride in the vehicles we sell and strive to succeed in providing an outstanding customer experience. As a leading auto dealership in our community, we are dedicated to providing our customers with great service. Pricing analysis performed on 3/15/2019. Horsepower calculations based on trim engine configuration. Fuel economy calculations based on original manufacturer data for trim engine configuration. Please confirm the accuracy of the included equipment by calling us prior to purchase. Excellent Condition. JUST REPRICED FROM $29,975, PRICED TO MOVE $2,900 below Kelley Blue Book! Nav System, Moonroof, Heated Seats SEE MORE!======: Safety equipment includes Child Safety Locks Dodge Road/Track with Pitch Black Clearcoat exterior and Black interior features a 8 Cylinder Engine with 370 HP at 5250 RPM*. ======EXCELLENT VALUE: Reduced from $29,975. This Charger is priced $2,900 below Kelley Blue Book. ======VEHICLE FEATURES: Rear Spoiler, MP3 Player, Keyless Entry, Remote Trunk Release, Steering Wheel Controls. ======OPTION PACKAGES: QUICK ORDER PACKAGE 29R ROAD/TRACK Engine: 5.7L V8 HEMI MDS VVT, Transmission: 8-Speed Automatic (8HP70), Performance Suspension, Ventilated Front Seats, Road/Track Performance Group, Goodyear Brand Tires, Heated 2nd Row Seats, Heated Steering Wheel, Dodge Performance Pages, Super Track Pak, Power Tilt/Telescope Steering Column, Power Driver/Passenger 4-Way Lumbar Adjust, R/T Heritage Badge, Illuminated Rear Cupholders, Driver & Passenger Lower LED Lamps, High Speed Engine Controller, Rear Seat Armrest w/Storage Cupholder, Power Front Driver/Passenger Seats, Power Adjustable Pedals w/Memory, Power Heated Memory Mirrors w/Man F/Away, Front Overhead LED Lighting, Matte Black Grille-Matte Black Xhairs, Bi-Function HID Projector Head Lamps, Performance Steering Wheel, 3.07 Rear Axle Ratio, POWER SUNROOF, NAVIGATION & TRAVEL GROUP SiriusXM Travel Link, GPS Navigation, HD Radio, ParkView Rear Back-Up Camera, Radio: Uconnect 8.4 NAV, SiriusXM Traffic, TRANSMISSION: 8-SPEED AUTOMATIC (8HP70) (STD), ENGINE: 5.7L V8 HEMI MDS VVT (STD). ======EXPERTS ARE SAYING: Edmunds.com explains If you're looking for a large sedan with equal parts performance Pricing analysis performed on 3/15/2019. Horsepower calculations based on trim engine configuration. Please confirm the accuracy of the included equipment by calling us prior to purchase. Excellent Condition. JUST REPRICED FROM $36,984, FUEL EFFICIENT 21 MPG Hwy/15 MPG City! Heated/Cooled Leather Seats, NAV, 4x4 READ MORE!======EXCELLENT SAFETY FOR YOUR FAMILY: Child Safety Locks, Electronic Stability Control, Adjustable Pedals, Brake Assist, 4-Wheel ABS, Tire Pressure Monitoring System, 4-Wheel Disc Brakes Safety equipment includes Child Safety Locks Ram Longhorn with Delmonico Red Pearlcoat exterior and Cattle Tan/Black interior features a 8 Cylinder Engine with 395 HP at 5600 RPM*. ======PRICED TO MOVE: Was $36,984. ======VEHICLE FEATURES: MP3 Player, Privacy Glass, Keyless Entry, Steering Wheel Controls. ======OPTION PACKAGES: ANTI-SPIN DIFFERENTIAL REAR AXLE, ENGINE: 5.7L V8 HEMI MDS VVT (STD), TRANSMISSION: 8-SPEED AUTOMATIC (8HP70) (STD). Non-Smoker vehicle, Remote Start, Trailer Hitch and Wire Harness, Soft Toneau Cover, Tube Steps or Running Boards, Heated Seats, Hands Free System. ======EXPERTS ARE SAYING: Edmunds.com's review says Regardless of trim level, the Ram 1500's interior is one of our favorites in the segment. Seat comfort is excellent, especially for long road trips, with soft padding and adequate support in the right places.. Great Gas Mileage: 21 MPG Hwy. ======VISIT US TODAY: At Tanner Companies we offer a broad selection of new and used Chrysler, RAM, Jeep, Dodge, and Nissan Cars, Trucks, and SUVs to Brainerd, Baxter and the surrounding St Cloud, Alexandria, and Little Falls areas. We take pride in the vehicles we sell and strive to succeed in providing an outstanding customer experience. As a leading auto dealership in our community Pricing analysis performed on 3/15/2019. Horsepower calculations based on trim engine configuration. Fuel economy calculations based on original manufacturer data for trim engine configuration. Please confirm the accuracy of the included equipment by calling us prior to purchase. Excellent Condition. REDUCED FROM $30,986! Nav System, Heated/Cooled Leather Seats, Hitch, Back-Up Camera, Bed Liner, 4x4 SEE MORE!======EXCELLENT SAFETY FOR YOUR FAMILY: Child Safety Locks, Electronic Stability Control, Adjustable Pedals Safety equipment includes Child Safety Locks Ram Laramie with Bright White Clearcoat exterior and Black interior features a V6 Cylinder Engine with 395 HP at 5600 RPM*. ======AFFORDABLE TO OWN: Was $30,986. ======VEHICLE FEATURES: Privacy Glass, Steering Wheel Controls, Heated Mirrors. ======OPTION PACKAGES: ENGINE: 3.0L V6 ECODIESEL 230 Amp Alternator, GVWR: 6,950 lbs, Maximum Duty Engine Cooling, 3.55 Rear Axle Ratio, 800 Amp Maintenance Free Battery, 3.0L Diesel Badge, Selective Catalytic Reduction (Urea), Next Generation Engine Controller, RADIO: UCONNECT 8.4AN AM/FM/SXM/HD/BT/NAV SiriusXM Travel Link, Uconnect Voice Command w/Bluetooth, (Registration Required), GPS Navigation, HD Radio, SIRIUSXM Traffic, 1 Year Sirius Real Time Traffic Service, CONVENIENCE GROUP Auto High Beam Headlamp Control, Rain Sensitive Windshield Wipers, Remote Proximity Keyless Entry, KEYLESS-GO, SPRAY IN BEDLINER, PARKSENSE FRONT/REAR PARK ASSIST SYSTEM, REMOTE START SYSTEM, SINGLE DISC REMOTE CD PLAYER, TRANSMISSION: 8-SPEED AUTOMATIC (8HP70) (STD). Serviced here, Non-Smoker vehicle, Originally bought here, Remote Start, Trailer Hitch and Wire Harness, Spray in Bedliner, Heated Seats, Hands Free System. ======EXPERTS ARE SAYING: Edmunds.com's review says The 2014 Ram 1500 is our top pick in the full-size pickup segment, thanks to a winning combination of strong powertrains, a smooth ride and a well-trimmed cabin.. Pricing analysis performed on 3/15/2019. Horsepower calculations based on trim engine configuration. Please confirm the accuracy of the included equipment by calling us prior to purchase. Excellent Condition. Moonroof, Nav System, Third Row Seat, Heated Leather Seats, Entertainment System, Quad Bucket Seats, Rear Air SEE MORE!======EXCELLENT SAFETY FOR YOUR FAMILY: Child Safety Locks, Electronic Stability Control, Brake Assist, 4-Wheel ABS, Tire Pressure Monitoring System, 4-Wheel Disc Brakes Safety equipment includes Child Safety Locks Chrysler Limited with Brilliant Black Crystal Pearlcoat exterior and Black/Alloy interior features a V6 Cylinder Engine with 287 HP at 6400 RPM*. ======VEHICLE FEATURES: Rear Spoiler, Keyless Entry, Privacy Glass, Remote Trunk Release, Steering Wheel Controls. ======OPTION PACKAGES: UCONNECT THEATER & SOUND GROUP 20 harman/kardon Speakers, 3-Channel Video Remote Control, Seatback Video Screens, 220 Amp Alternator, High Definition Multimedia Interface, 115V Auxiliary Power Outlet, 760 Watt Amplifier, Video USB Port, 3-Channel Wireless Headphones, Blu-Ray/DVD Player/USB Port, ADVANCED SAFETYTEC GROUP Lane Departure Warning Plus, ParkSense Front/Rear Park Assist w/Stop, Automatic High Beam Headlamp Control, Parallel & Perp Park Assist w/Stop, Rain Sensitive Windshield Wipers, Adaptive Cruise Control w/Stop & Go, Advanced Brake Assist, Full Speed Forward Collision Warning Plus, 360 Surround View Camera System, ENGINE: 3.6L V6 24V VVT, TRANSMISSION: 9-SPEED 948TE FWD AUTOMATIC (STD). ======EXPERTS RAVE: Edmunds.com's review says Interior materials quality is high, and the controls have a solid feel to them. Overall, the Pacifica looks and feels impressively upscale inside.. Great Gas Mileage: 28 MPG Hwy. Pricing analysis performed on 3/15/2019. Horsepower calculations based on trim engine configuration. Fuel economy calculations based on original manufacturer data for trim engine configuration. Please confirm the accuracy of the included equipment by calling us prior to purchase. Excellent Condition, GREAT MILES 45,189! REDUCED FROM $48,986! Navigation, Heated Leather Seats, Moonroof, Trailer Hitch, 4x4 SEE MORE!======A GREAT TIME TO BUY: Was $48,986. ======VEHICLE FEATURES: MP3 Player, Privacy Glass, Keyless Entry, Heated Mirrors ======OPTION PACKAGES: ENGINE: 6.7L POWER STROKE V8 TURBO DIESEL B20 4 valve OHV, manual push-button engine-exhaust braking, GVWR: 11,300 lb Payload Package, 3.31 Axle Ratio, 26 Gallon Fuel Tank, Dual 78-AH 750 CCA Batteries, POWER MOONROOF map lights and moonroof switches, KING RANCH W/CHROME PACKAGE unique King Ranch wheel center caps and painted hub covers, unique King Ranch fender badges, unique front and rear floor mats w/King Ranch logo, 2 front chrome tow hooks and chrome pickup bed tie down hooks (not included when ordered w/(85S) ToughBed), Body-Color Lower Bodyside Moldings, Chrome Exhaust Tip, Tape Stripe, Unique Door Trim Panels, King Ranch leather insert and woodgrain applique, King Ranch Leather-Wrapped Steering Wheel, Mesa Antique Affect leather and audio controls, Lower Accent Two-Tone Paint, wheel lip moldings, Remote Start System, 6 Angular Chrome Step Bars, Painted Body Color Grille w/Chrome Insert, Unique Chrome Mirror Caps, Accent Color Front Bumper, Memory Power Adjustable Pedals, Accent Color Rear Bumper w/Step Pad, Universal Garage, ELECTRONIC LOCKING W/3.55 AXLE RATIO, TIRES: LT275/70RX18E OWL Automatic Transmission Automatic Transmission spare tire (1), TRANSMISSION: TORQSHIFT 6-SPEED AUTOMATIC (6.7L) SelectShift, BLACK, UNIQUE KING RANCH LEATHER 40/CONSOLE/40 FRONT SEATS mesa antique affect leather seating surfaces w/matching 60/40 rear bench w/partitioned locking under seat storage, 12V power point, dual integrated cup holders in armrest, 2 outboard head restraints, 10 way power, memory Pricing analysis performed on 3/15/2019. Horsepower calculations based on trim engine configuration. Please confirm the accuracy of the included equipment by calling us prior to purchase. PRICE DROP FROM $31,974, FUEL EFFICIENT 21 MPG Hwy/15 MPG City! Excellent Condition. Heated Leather Seats, iPod/MP3 Input, CD Player CLICK ME!======KEY FEATURES INCLUDE: Leather Seats, 4x4, Heated Driver Seat, Back-Up Camera, Flex Fuel, Satellite Radio, iPod/MP3 Input, CD Player, Onboard Communications System, Trailer Hitch, Aluminum Wheels, Remote Engine Start, Dual Zone A/C, Heated Seats, Heated Leather Seats MP3 Player, Privacy Glass, Keyless Entry, Steering Wheel Controls, Electronic Stability Control. Chevrolet LTZ with Tungsten Metallic exterior and Dark Ash with Jet Black Interior Accents interior features a 8 Cylinder Engine with 355 HP at 5600 RPM*. Non-Smoker vehicle, Soft Toneau Cover, Remote Start, Weather Tech Floor Mats, Hitch and Wire harness. ======EXPERTS REPORT: Edmunds.com explains Inside, all versions of the Chevy Silverado have high-quality materials, and we've been impressed by the build quality in all the trucks we've tested.. Great Gas Mileage: 21 MPG Hwy. ======AFFORDABILITY: Was $31,974. ======BUY FROM AN AWARD WINNING DEALER: At Tanner Companies we offer a broad selection of new and used Chrysler, RAM, Jeep, Dodge, and Nissan Cars, Trucks, and SUVs to Brainerd, Baxter and the surrounding St Cloud, Alexandria, and Little Falls areas. We take pride in the vehicles we sell and strive to succeed in providing an outstanding customer experience. As a leading auto dealership in our community, we are dedicated to providing our customers with great service. Pricing analysis performed on 3/15/2019. Horsepower calculations based on trim engine configuration. Fuel economy calculations based on original manufacturer data for trim engine configuration. Please confirm the accuracy of the included equipment by calling us prior to purchase. JUST REPRICED FROM $27,486. Excellent Condition, LOW MILES - 16,223! 300S trim. Heated Leather Seats, iPod/MP3 Input, Satellite Radio. CLICK ME!======EXCELLENT SAFETY FOR YOUR FAMILY: Child Safety Locks, Electronic Stability Control, Brake Assist, 4-Wheel ABS, 4-Wheel Disc Brakes, Tire Pressure Monitoring System Safety equipment includes Child Safety Locks Chrysler 300S with Green Metallic Clearcoat exterior and Smoke/Black interior features a V6 Cylinder Engine with 300 HP at 6350 RPM*. ======EXCELLENT VALUE: Was $27,486. ======VEHICLE FEATURES: Rear Spoiler, MP3 Player, Remote Trunk Release, Keyless Entry, Steering Wheel Controls. ======OPTION PACKAGES: ENGINE: 3.6L V6 24V VVT (STD), TRANSMISSION: 8-SPEED AUTOMATIC 845RE (STD). Serviced here, Non-Smoker vehicle, Originally bought here, Remote Start, Heated Seats, Hands Free System. ======EXPERTS CONCLUDE: Edmunds.com's review says This big sedan is as quiet as a tomb. Virtually no road noise makes it into the cabin.. ======MORE ABOUT US: At Tanner Companies we offer a broad selection of new and used Chrysler, RAM, Jeep, Dodge, and Nissan Cars, Trucks, and SUVs to Brainerd, Baxter and the surrounding St Cloud, Alexandria, and Little Falls areas. We take pride in the vehicles we sell and strive to succeed in providing an outstanding customer experience. As a leading auto dealership in our community, we are dedicated to providing our customers with great service. Pricing analysis performed on 3/15/2019. Horsepower calculations based on trim engine configuration. Please confirm the accuracy of the included equipment by calling us prior to purchase. Excellent Condition. REDUCED FROM $31,986! Sunroof, Navigation, Heated Leather Seats, 3rd Row Seat, Power Liftgate, All Wheel Drive SEE MORE!======EXCELLENT SAFETY FOR YOUR FAMILY: Child Safety Locks, Electronic Stability Control, 4-Wheel ABS, 4-Wheel Disc Brakes, Tire Pressure Monitoring System Safety equipment includes Child Safety Locks GMC Limited with Ebony Twilight Metallic exterior and Ebony interior features a V6 Cylinder Engine with 281 HP at 6300 RPM*. ======A GREAT TIME TO BUY: Was $31,986. ======VEHICLE FEATURES: Rear Spoiler, MP3 Player, Rear Seat Audio Controls, Remote Trunk Release, Keyless Entry. Non-Smoker vehicle, Remote Start, Heated Seats, Hands Free System. ======EXPERTS ARE SAYING: Edmunds.com explains Accessing the rearmost seats is made easier thanks to second-row seats that slide farther forward than most competitors.. ======VISIT US TODAY: At Tanner Companies we offer a broad selection of new and used Chrysler, RAM, Jeep, Dodge, and Nissan Cars, Trucks, and SUVs to Brainerd, Baxter and the surrounding St Cloud, Alexandria, and Little Falls areas. We take pride in the vehicles we sell and strive to succeed in providing an outstanding customer experience. As a leading auto dealership in our community, we are dedicated to providing our customers with great service. Pricing analysis performed on 3/15/2019. Horsepower calculations based on trim engine configuration. Please confirm the accuracy of the included equipment by calling us prior to purchase. Excellent Condition. FUEL EFFICIENT 29 MPG Hwy/22 MPG City! Nav System, Heated Leather Seats, Power Liftgate, 4x4, Satellite Radio SEE MORE!======KEY FEATURES INCLUDE: 4x4, Power Liftgate, Back-Up Camera, Premium Sound System, Satellite Radio, iPod/MP3 Input, Onboard Communications System, Aluminum Wheels, Remote Engine Start, Dual Zone A/C Rear Spoiler, MP3 Player, Privacy Glass, Keyless Entry, Child Safety Locks. ======OPTION PACKAGES: ENGINE: 2.0L ECOBOOST GVWR: 4,840 lbs, 3.07 Axle Ratio, VOICE-ACTIVATED TOUCHSCREEN NAVIGATION SYSTEM pinch-to-zoom capability, SiriusXM Traffic and Travel Link includes a, CLASS II TRAILER TOW trailer sway control, CHARCOAL BLACK, HEATED LEATHER-TRIMMED BUCKETS W/60/40 REAR SEAT 10-way power driver and passenger seat w/power lumbar adjust, driver seat memory, driver seat back map pocket. Ford Titanium with Shadow Black exterior and Charcoal Black interior features a 4 Cylinder Engine with 240 HP at 5500 RPM*. Non-Smoker vehicle, Remote Start, Hitch and Wire harness, Heated Seat Driver, Heated Seat Passanger. ======EXPERTS CONCLUDE: Edmunds.com explains With its quick, precise steering and relatively sharp reflexes Great Gas Mileage: 29 MPG Hwy. ======WHY BUY FROM US: At Tanner Companies we offer a broad selection of new and used Chrysler, RAM, Jeep, Dodge, and Nissan Cars, Trucks, and SUVs to Brainerd, Baxter and the surrounding St Cloud, Alexandria, and Little Falls areas. We take pride in the vehicles we sell and strive to succeed in providing an outstanding customer experience. As a leading auto dealership in our community, we are dedicated to providing our customers with great service. Pricing analysis performed on 3/15/2019. Horsepower calculations based on trim engine configuration. Fuel economy calculations based on original manufacturer data for trim engine configuration. Please confirm the accuracy of the included equipment by calling us prior to purchase. Superb Condition, GREAT MILES 24,142! PRICE DROP FROM $18,483, FUEL EFFICIENT 33 MPG Hwy/24 MPG City! Bluetooth, CD Player READ MORE!======EXCELLENT SAFETY FOR YOUR FAMILY: Child Safety Locks, Electronic Stability Control, Brake Assist, 4-Wheel ABS, Tire Pressure Monitoring System, 4-Wheel Disc Brakes Safety equipment includes Child Safety Locks Toyota SE with Midnight Black Metallic exterior and Black interior features a 4 Cylinder Engine with 178 HP at 6000 RPM*. ======AFFORDABILITY: Was $18,483. ======VEHICLE FEATURES: Rear Spoiler, MP3 Player, Keyless Entry, Remote Trunk Release, Steering Wheel Controls. Non-Smoker vehicle. ======EXPERTS REPORT: The 2017 Toyota Camry provides one of the most comfortable and spacious cabins of any midsize family sedan. There's plenty of headroom and legroom up front and nearly as much in back, where even taller adults will be content to ride for extended periods. -Edmunds.com. Great Gas Mileage: 33 MPG Hwy. ======MORE ABOUT US: At Tanner Companies we offer a broad selection of new and used Chrysler, RAM, Jeep, Dodge, and Nissan Cars, Trucks, and SUVs to Brainerd, Baxter and the surrounding St Cloud, Alexandria, and Little Falls areas. We take pride in the vehicles we sell and strive to succeed in providing an outstanding customer experience. As a leading auto dealership in our community, we are dedicated to providing our customers with great service. Pricing analysis performed on 3/15/2019. Horsepower calculations based on trim engine configuration. Fuel economy calculations based on original manufacturer data for trim engine configuration. Please confirm the accuracy of the included equipment by calling us prior to purchase. Excellent Condition, GREAT MILES 63,207! PRICE DROP FROM $32,974, EPA 20 MPG Hwy/14 MPG City! Heated Leather Seats, Sunroof READ MORE!======EXCELLENT SAFETY FOR YOUR FAMILY: Electronic Stability Control, Adjustable Pedals, 4-Wheel ABS, Tire Pressure Monitoring System, 4-Wheel Disc Brakes Safety equipment includes Electronic Stability Control GMC SLT with Onyx Black exterior and Cocoa/Dune interior features a 8 Cylinder Engine with 355 HP at 5600 RPM*. ======A GREAT TIME TO BUY: Was $32,974. ======VEHICLE FEATURES: MP3 Player, Privacy Glass, Keyless Entry, Steering Wheel Controls, Heated Mirrors. Non-Smoker vehicle, Remote Start, Trailer Hitch and Wire Harness, Soft Toneau Cover, Tube Steps or Running Boards, Heated Seats, Hands Free System. ======EXPERTS RAVE: Edmunds.com's review says . the Sierra's thickly padded seats promise plenty of long-trip comfort. Although the cabs' basic dimensions are unchanged from those of last year, there is a smidge more rear legroom than before. . Great Gas Mileage: 20 MPG Hwy. ======OUR OFFERINGS: At Tanner Companies we offer a broad selection of new and used Chrysler, RAM, Jeep, Dodge, and Nissan Cars, Trucks, and SUVs to Brainerd, Baxter and the surrounding St Cloud, Alexandria, and Little Falls areas. We take pride in the vehicles we sell and strive to succeed in providing an outstanding customer experience. As a leading auto dealership in our community, we are dedicated to providing our customers with great service. Pricing analysis performed on 3/15/2019. Horsepower calculations based on trim engine configuration. Fuel economy calculations based on original manufacturer data for trim engine configuration. Please confirm the accuracy of the included equipment by calling us prior to purchase. Excellent Condition, LOW MILES - 12,004! 300S trim. JUST REPRICED FROM $27,483. Heated Leather Seats, iPod/MP3 Input, Satellite Radio AND MORE!======EXCELLENT SAFETY FOR YOUR FAMILY: Child Safety Locks, Electronic Stability Control, Brake Assist, 4-Wheel ABS, Tire Pressure Monitoring System, 4-Wheel Disc Brakes Safety equipment includes Child Safety Locks Chrysler 300S with Velvet Red Pearlcoat exterior and Black interior features a V6 Cylinder Engine with 300 HP at 6350 RPM*. ======AFFORDABLE TO OWN: Reduced from $27,483. ======VEHICLE FEATURES: MP3 Player, Keyless Entry, Remote Trunk Release, Steering Wheel Controls ======OPTION PACKAGES: ENGINE: 3.6L V6 24V VVT (STD), TRANSMISSION: 8-SPEED AUTOMATIC 845RE (STD). Serviced here, Non-Smoker vehicle, Originally bought here, Remote Start, Heated Seats, Hands Free System. ======EXPERTS ARE SAYING: This big sedan is as quiet as a tomb. Virtually no road noise makes it into the cabin. -Edmunds.com. ======WHO WE ARE: At Tanner Companies we offer a broad selection of new and used Chrysler, RAM, Jeep, Dodge, and Nissan Cars, Trucks, and SUVs to Brainerd, Baxter and the surrounding St Cloud, Alexandria, and Little Falls areas. We take pride in the vehicles we sell and strive to succeed in providing an outstanding customer experience. As a leading auto dealership in our community, we are dedicated to providing our customers with great service. Pricing analysis performed on 3/15/2019. Horsepower calculations based on trim engine configuration. Please confirm the accuracy of the included equipment by calling us prior to purchase. EPA 26 MPG Hwy/18 MPG City! Superb Condition, ONLY 38,417 Miles! Moonroof, Nav System, Heated/Cooled Leather Seats, Third Row Seat CLICK NOW!======KEY FEATURES INCLUDE: Leather Seats, Third Row Seat, Navigation, Sunroof, Panoramic Roof, Power Liftgate, Rear Air, Heated Driver Seat, Cooled Driver Seat, Back-Up Camera, Premium Sound System, Satellite Radio, iPod/MP3 Input, Bluetooth, Chrome Wheels Rear Spoiler, MP3 Player, Keyless Entry, Privacy Glass, Remote Trunk Release. Kia SX with Titanium Silver exterior and Satin Black interior features a V6 Cylinder Engine with 290 HP at 6400 RPM*. Non-Smoker vehicle, Heated Seat Driver, Heated Seat Passanger. ======VEHICLE REVIEWS: The 6-speed automatic transmission is as smooth and unobtrusive as you could hope for, and the suspension never called attention to itself for being too harsh or too soft. -KBB.com. Great Gas Mileage: 26 MPG Hwy. ======MORE ABOUT US: At Tanner Companies we offer a broad selection of new and used Chrysler, RAM, Jeep, Dodge, and Nissan Cars, Trucks, and SUVs to Brainerd, Baxter and the surrounding St Cloud, Alexandria, and Little Falls areas. We take pride in the vehicles we sell and strive to succeed in providing an outstanding customer experience. As a leading auto dealership in our community, we are dedicated to providing our customers with great service. Pricing analysis performed on 3/15/2019. Horsepower calculations based on trim engine configuration. Fuel economy calculations based on original manufacturer data for trim engine configuration. Please confirm the accuracy of the included equipment by calling us prior to purchase. Find a Large Selection of Affordable Used Cars Near Nisswa! Buying a good car doesn’t have to break your budget! Use our online payment calculator to see what your monthly car payments will be, and then come chat with our finance team about your financing and lease options. Our team is here to serve drivers in Bemidji and throughout the surrounding suburbs at our dealership in Brainerd, and you can contact the Tanner Nissan team directly at (218) 829-3597!